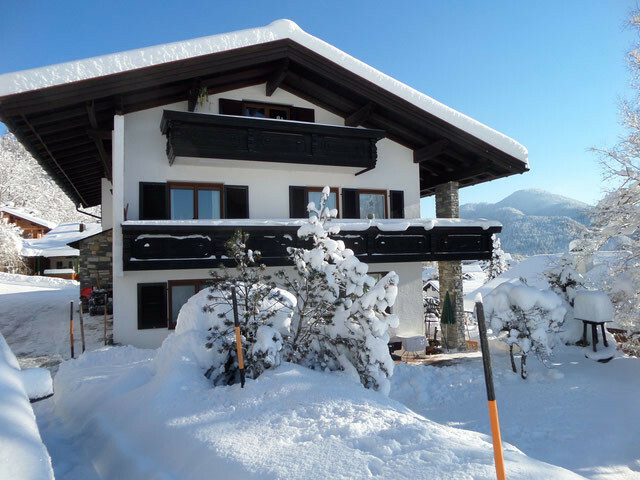 In winter the snow invites to versatile winter sports of all kinds: guided snowshoe walks, countless Killometers cross-country skiing, snow-covered trails, the ski paradise Steinplatte or adventurous toboggan runs, for every taste is catered for. And after a day of winter sports, you can relax in our own steam-sauna or infrared cabin. 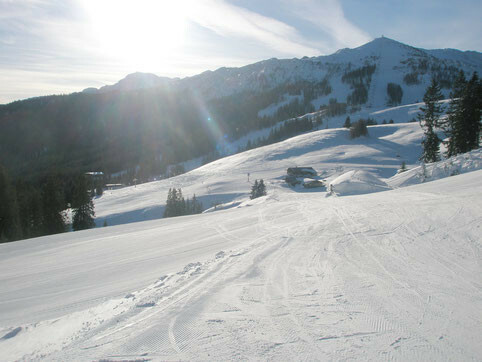 The ski area Winklmoosalm-Steinplatte offers 42 kilometers of piste runs for all levels of difficulty from blue to black. The gondola valley station is easily reached by car or with the free Shuttlelbus. For more about the ski resort click on the link below. 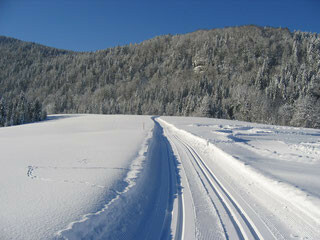 The cross-country ski friends will find 59 km of classic tracks and 16 km skating trails in the valley and 61 km classical cross-country trails and 30 km of skating trails on the Winklmoosalm and Hemmersuppenalm - our mountain trails. 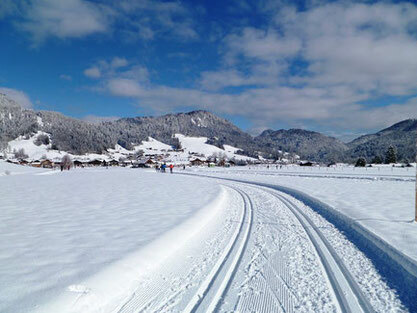 Whether classic or skating, from Reit im Winkl to Ruhpolding or the neighbors in Tirol, Kössen or Walchsee, run free on well prepared trails! For cross-country friends, experts and beginners they lead through the magical, pristine mountain scenery. Numerous winter walking trails criss-cross the region. Besides fantastic hiking snowshoe hikes are offered with attached snowshoe rental in town. Several exciting toboggan experiences are offered. From Nattersbergalm or Hindenburghutte run about 4-5 km long natural toboggan runs into the valley. Tobogganing is done traditionally with sturdy wooden carriages which can be hired on the respective huts (single and double slides). The ascent to Hindenburghutte can be made with all-wheel buses, or for winter hikers by walking. Both mountain stations can also be reached by ski trail.